- Publisher War in the Gulf--revolutions in Russia and Eastern Europe! The ancient prophets warn of impending disaster in our generation. Startling Biblical prophecies declare that our world is on the road to Armageddon and the Return of the Messiah. War in the Gulf--revolutions in Russia and Eastern Europe! The ancient prophets warn of impending disaster in our generation. 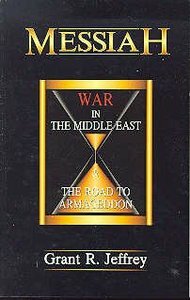 Startling Biblical prophecies declare that our world is on the road to Armageddon and the Return of the Messiah.